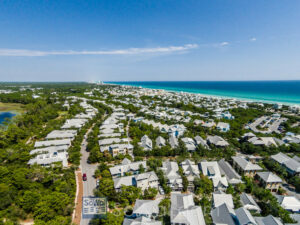 The intimate small town plan of watercolor community located in central 30a offers an intimate neighborhood friendly feel. With smooth dirt pathways winding through the neighborhood you will see adults and kids alike riding bikes and walking to their destinations. 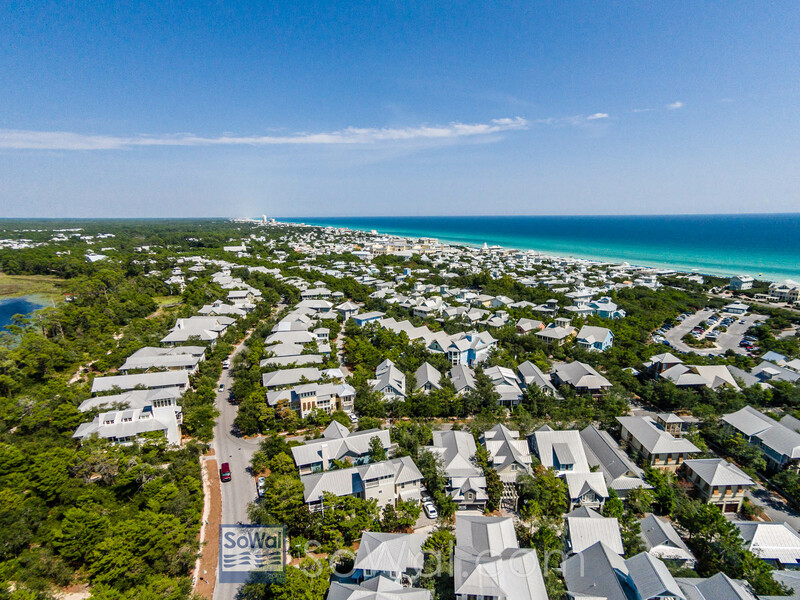 Whether you’re going to the beach, one of the neighborhood pools, the WaterColor Beach club or even town center there will be no need to drive. This community is set up to have everything that you would need within a bike rides away or walking distance. There so much to explore in watercolor from relaxing and looking at beautiful natural nature scenes of the coastal dune lake from the wooden bridge near the Marina Park or renting a standup paddle board or kayak for more adventurous up close tour. One of the best ways to get around and explore WaterColor. A place to come see you don’t miss your workout. The state of the art fitness center has all of the free weights, cardio machines and exercise classes that anyone desires. Are you ready for active lifestyle? If so, come to the BoatHouse to rent kayaks, stand up paddle boards, canoes, kayaks and even fishing equipment. This is your chance to get up in close to the gorgeous Western Lake. For a different aspect of beauty in WaterColor set by the Lakeside pool. Right next door is the outdoor amphitheater with a large grass lawn area and natural backdrop. Here you will find various movies playing at night in my the entertainment. The place where kids come to have fun. Camp WaterColor offers activities and fun for kids of all ages. It runs Monday to Friday from 9 AM – 1 PM and includes lunch. This is a great place for the kids to have fun and the adults to have a little bit of time alone. You’ll be impressed by the five Har Tru HydroCourts and three lighted courts for night play. There are year round clinics and round robins daily at 9 AM. Step over to town center and do some shopping, have a glass of wine and lunch and even reserve and offshore fishing charter. There are many locally owned boutiques for men, women and children. If you like a little bit of time to just relax come to one of the many pools throughout the neighborhood. It is a nice alternative from the beach and somewhere that the whole family and friends can gather. The Beach Club at WaterColor is something that needs to be seen to be appreciated. A beautiful beachside pool with ground floor and second floor decks overlooking the emerald waters and white sandy beaches. Every evening you’ll find a group of people gathering together to watch one of 30a’s magnificent evening sunsets. There’s poolside service. If you forgot your sunscreen don’t fret, you can pick up some extra items at the Beach Club.